Not many albums get this rating which is basically 5.5 stars -a special piece of music. So many records come across this desk and many others that I know that also review music. 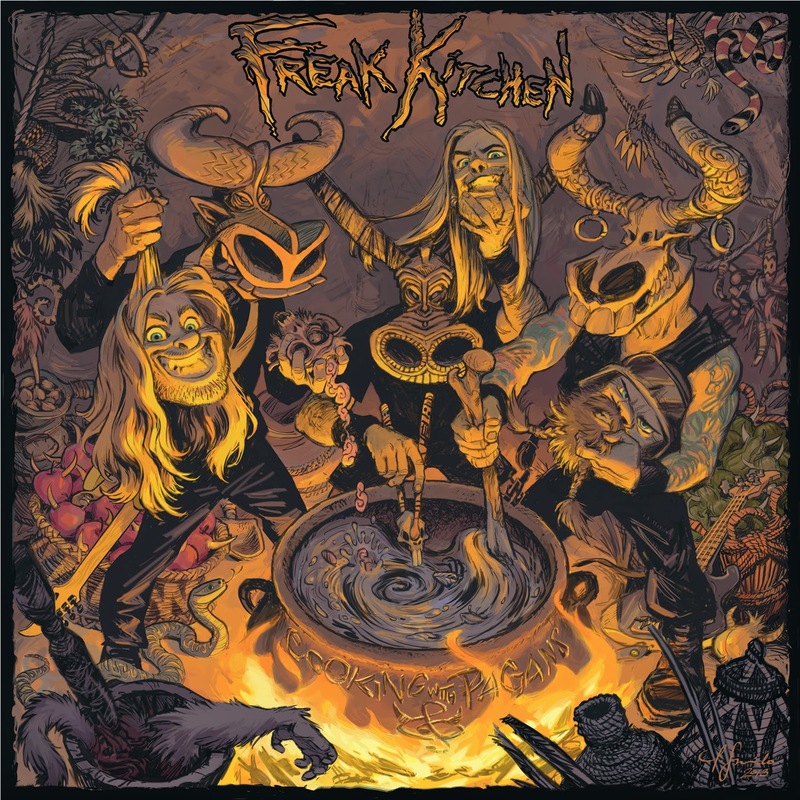 Music speaks different things to different people, I really cannot stand 90% of what is on the radio these days and even a better reason to have a band like "Freak Kitchen" come this way--what a GREAT album!! With great riffs and all around great musicianship that could put away some larger groups , each song sounding nothing like the previous song. A joy to have this album in my collection. The previous picture can give you a slight idea of how serious this band takes themselves as not many would send that out to the press , let alone send it to anyone.That being said they are very tight and talented band. There are songs "Mathematics of Deafeat" and the song on now "I Don't Want to Golf" which could easily be my theme song, not joking either. This is easily one of my favourite albums of the year such a mix of different sounds from ZZ Top to Kim Mitchell sounding songs and I mean both of those with the greatest amount of respect of all artists named. to their visit to India ,man what a song!! Anyone that knows me well when I get behind a band they have my support for life, so they certainly have a NEW fan with me for sure. Swedish trio Freak Kitchen are back with Cooking with Pagans, their eight and most frantic album to date. The band has always been a tremendously respected live act and for the first time the energetic live vibe of Freak Kitchen has been captured in the studio. With influences stretching from AC/DC to classical South Indian music the three norsemen, lead by guitar virtuoso Mattias IA Eklundh, truly have a sound of their own. Cooking with Pagans offer eleven intense original songs plus a sophisticated punk pop version of the 1936 hit Goody Goody like you never heard it before. Solid, inspired song writing (not to say playing) from start to finish.